As more people become aware of the role weight loss can play in improving their health, many are interested in learning about diets to help you lose weight the healthy way. Fortunately, losing weight and keeping it off can be done if you are willing to put in some extra effort and learn to make long term lifestyle changes. Many diets claim to result in rapid weight loss with little hassle. However, research shows the key to maintaining weight loss for a lifetime is making small changes in your diet over time, while including exercise in your daily routine. There is no magic bullet when it comes to weight loss. Some diet plans may result in rapid weight loss, but they may also have negative consequences on your health as well. The real diets to help you lose weight the healthy way include focusing on making small healthy changes in your diet and exercise habits. Consuming a well-balanced diet will help you to lose weight and keep it off for the long term. The key is to focus on improving your health for the rest of your life, not just losing weight during the short term. By focusing on being healthy, you can lose weight and improve your self-esteem, appearance, and overall well-being. 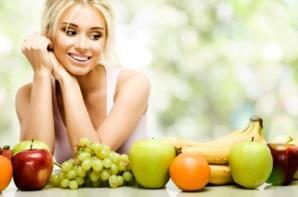 All diets designed to help you lose weight the healthy way include consuming a balanced diet. Make sure you are getting foods from all of the food groups each day. The food groups include vegetables, fruits, whole grains, lean proteins, and healthy fats. Consuming a mix of these foods will help you to obtain all of the nutrients you need to stay healthy. Start out by creating a plan for lifelong health. Concentrate on setting realistic and healthy goals you are willing to work toward. If your biggest weakness is chocolate, then don't start with giving it up completely. Perhaps it would be more realistic for you to start out by having a piece of fresh fruit with your breakfast every morning instead. By setting small goals in a step-by-step fashion, rather than trying to change all of your bad habits all at once, you are more likely to stick to the changes you make. This will result is better health and satisfaction in the long run. The best way to create a plan is to set two or three simple changes at a time. Once you have succeeded in maintaining these goals for a month or so and they become a habit, reward yourself with a fun activity such as going to a movie or buying yourself that new sweater you have been eyeing. [www.mypyramid.gov MyPyramid.gov] offers tools for developing an individualized eating plan based on your gender, age, and activity level. One of the best was to stay on track with healthful eating is to plan your meals out for the day ahead of time. You can plan out your breakfast for the following morning the night before. This may be something as simple as setting out a box of whole grain cereal and a banana to help to get you going in the morning. This will help to reduce your stress levels when you are in a hurry to get you and your family ready on time.Prepare snacks and pack lunches before you go to bed. This way you can simply grab your lunch on your way out the door. This will prevent the urge to run to a fast food restaurant at lunch time. Chop some vegetables and put them in a reusable container in the refrigerator for your snack the next day. If you have food already prepared, you will not need to visit the office vending machine when you feel the urge to have a snack. For dinner, balance your plate so at least half of your plate is covered with vegetables and quarter is covered with a whole grain such as brown rice. The other quarter of your plate may include a lean protein such as chicken or fish. Have fruit for dessert instead of cookies, cakes, or ice cream. Exercise is an essential component in all diets to help you lose weight the healthy way. According to the American Heart Association, 70 percent of Americans do not get the recommended amount of regular exercise. It is recommended healthy adults get at least 150 minutes of moderate exercise each week. This can be broken down into two 15-minute walks five days per week. The most important thing to remember is to include foods and exercise you enjoy in your weight-loss plan. This will help you to stick with your program and reach your long term goals. If you feel you would benefit from individual support on your quest for weight loss, a Registered [www.eatright.org Dietitian] can help you to design a plan that fits your lifestyle and preferences.